Amazing customer service. Really looked out for my interests. My insurance company called them to have the scrap yard pick up my car before the insurance company told me it was being totalled. Bar Harbor pointed out the mistake to my insurance company and saved me a huge hassle. They kindly dropped me at a near by rental car company when I dropped my car off with them. They also did a good job with the appraisal and were just very pleasant and friendly. I would definitely do business with them again. They went above and beyond my expectations when I took my jeep in for repairs. Mike, the manager, was amazing and kept me informed every step of the way. Even sent me pictures on areas of concern. And to top it off, not only was the repair work great, they went the next step and cleaned all the mud from the inside and out. Thank you for making my jeep beautiful again! I’m new to the Pasadena area. I wanted an estimate to repair some paint damage. I went here based on the reviews, and I had a super positive experience. I called 2 times needing directions (the shop is behind another building), and the lady at the front desk (Julie) was super patient and kind. When I arrived, Mike (the owner) introduced himself and took my car to inspect. To my surprise, he was able to buff out most of my damage, and after discussions we said it looked good enough to not need further work. Although I came in for something minor, the integrity he displayed on this small issue makes me feel at ease and that I can trust this shop for any of my automotive concerns. Thanks for your help, I’ll definitely come back for all my automotive needs! Incredible service and quality of work throughout the entire process. Mike and Julie were knowledgeable and customer-focused. I almost want to get rear-ended again so that I can relive the experience. Can’t recommend these guys enough. 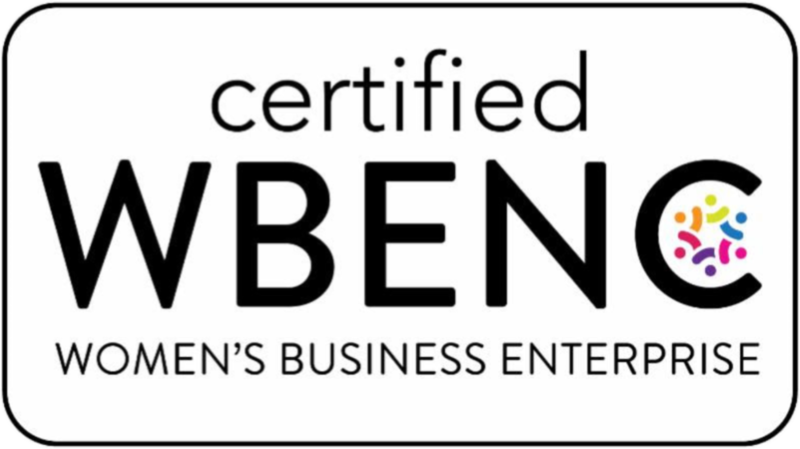 I am taking the time to write this review because my experience doing business with Bar Harbor exceeded my expectations. Every member of their staff that I had the pleasure to speak to was amazing. They even went above and beyond in most circumstances to accommodate my needs. I will recommend them to everyone in the future. Thanks so much Bar Harbor!!!! WOW!!!!!!!!! I really can't say anymore than that! These guys are superstars and true professionals who take on the headaches that insurance claims bring in order to ensure the customer is #1! After my car was damaged in an accident, I figured it was a great opportunity to have some upgraded parts installed at the same time and I would just pay the difference. Bar Harbor not only made it happen, but did it for less than a $30 difference from the original parts. I was so grateful b/c I didn't realize the logistics and paperwork that went on behind the scenes to make it happen given the insurance company's repair constraints. It was completely transparent to me, which was awesome. Again, Bar Harbor works for the customer! While my car was there, I also had them do an oil change as well. Figured, two birds, one stone. THEY CAN DO IT ALL! Once my car was complete, I COULD NOT believe the results! Better than new! Car is beautiful! And they even took the initiative to clean the inside of my car as part of the repair services while it was there! Down to earth people, who truly love what they do! Even the owner called me personally to give me an update on finalizing the work - wow! I CANNOT overstate the quality of service or work you get from Bar Harbor. It is the most COMPLETE experience you'll ever have. Whether you need routine maintenance, auto detailing or body repairs, Bar Harbor does it all! And they are truly the best! SUPERIOR QUALITY doesn't even began to describe what you get. Go see Bar Harbor. Doesn't matter what you drive, they can work on it. It will be the BEST decision you'll ever make for your vehicle! TRUST ME! It is a rare thing when companies go above and beyond, but that's the only way to describe the service I received with Bar Harbor. Fantastic service, and even better workmanship. My brand new minivan looked better after they repaired the rear-end collision damage than it did when I drove it off the lot 7 months earlier. Thanks guys! I have had numerous vehicles done with Mike over the past 7 years or so and the quality of his work is always fantastic. He is reliable, honest, and fair. He has a great company and he is easy to recommend to others. I had a problem with my tailgate and stopped at Bar Harbor and they were very professional and were able to get my issue fixed and on my way in 30 minutes. I so want to thank the entire staff for their help. I will be sending my friends and fellow workers to them. Thanks !!! Car bumper looks brand new after dropping off for repair and paint job. They even vacuumed out the vehicle. Great staff and owner, I can't recommend this business enough. Definitely plan to return for any needed future repairs. I’ve had two long term vehicles serviced for minor and major dent/paint damages. This is the only Auto Body I will go to for my vehicles to be serviced. Mike (manager) and his team are honest, knowledgeable, and will go above and beyond for their customers. Mike was very personable and understanding with my crazy work hours for dropping off / picking up the car. Mike made everything go smoothly including my rental pick up and drop off. The painting team (or person) did a fantastic blending job (my vehicle is black). Bar Harbor will take the time to make sure things are done right and that you are happy with the service provided. I highly recommend giving Bar Harbor Auto Body a try! Bar Harbor Auto Body is the best in the area. Mike saved me hundreds of dollars by going above and beyond to find an "A condition" replacement door for my car through a salvage yard in Pennsylvania. All the other auto body shops I got a quote from wanted to perform the auto body work themselves for hundreds of dollars more. Thank you Mike and the Bar Harbor auto body team! I wanted to take a moment and write a review due to the stellar service I received at Bar Harbor. From the initial call to schedule the appraisal I was impressed with how pleasant and friendly Julie was. I then was further impressed at the time of the appraisal Julie greeted me and was just as nice in person as on the phone. I then met and sat with Mike (the owner) he was also extremely pleasant and friendly he took the time to explain the work that would need to be done and how he would go about making the necessary repairs. He then drew up the appraisal while I was there and emailed it to the Insurance company along with all needed pictures copying me on the email and provided me with the print out of the appraisal. He then explained when the approval was received the process and informed me about the local car rental location and also offered to take me over there upon dropping off my car. Mike even gave me tips about the best time to arrive in order to limit the wait at the car rental location. Talk about up and beyond, I have never experienced this at any body shop before. As if that is not enough what really makes a huge difference between Bar Harbor and the rest is being kept informed, there was a possibility of having additional work needed due to the location the vehicle was hit. Upon discovering what else was needed Mike again drew up the appraisal sent to the insurance company copied me and called me to let me know what was taking place. The insurance company then tried to cut costs and play games Mike also kept me informed of this situation and took a loss due to him wanting to restore my vehicle correctly and efficiently even though the insurance company would not authorize the additional cost. I have never experienced a location that makes you feel welcome and completely informed from beginning to end of this process. That is extremely important for me as a woman. I have had several experiences in the past of no information or communication and I can not thank Mike and his team enough for the stellar service I received. I will use Bar Harbor again in the future and refer everyone I know to them. Mike provided a quote on my 2016 Nissan Sentra. He was friendly and very knowledgeable, furthermore, he was honest and not out to get my money. He took a look at the scratches and dents on my car, and provided a quote. When I told him that I was trading the car in within a few days, he immediately dissuaded me from letting the body shop do the repairs. He said it would be better in the long run if I simply turn the car in as is and get whatever I could for the trade. I really appreciate his honest answer and ethics. What a difference 5 weeks makes. Thanks to Bar Harbor Auto Body for the expert work to restore my car to almost new after getting T-boned in early December. If you ever need body work done, go to these guys. They're awesome! Love the work and service that Mike, Jamie, Julie, and the other techs provide. Been to them multiple times for damages to my car and their work is unmatched. Great experience at Bar Harbor! Reliable and trustworthy service! Had my car repaired here last year after someone hit it while it was parked. Mike and his shop was recommended by my insurance and they didn't disappoint. This is a fabulous company with kind, honest people and excellent body work and customer service. Great work and even a year later it is holding up. I received personal and utterly professional service. This truck was badly damaged and the repair a complete transformation to painstakingly restored. Thank you Bar Harbor for giving me back my ride! I have used their services several times. Being a mother of 2 sons, things just seem to go badly with them and cars. I have been so pleased with all the work they have performed. The cars are also cleaned nicely when we pick them up. Fast and so easy to work with. I highly recommend Bar Harbor. Love this place. Have taken my cars to several auto body shops and they were not as helpful and professional as Bar Harbor. They kept me up to date on the repairs and are very reasonably priced. I will take my cars here from now on. The Bar Harbor guys did an awesome job repairing the bumper on my C300! Their quality of work is spectacular, the paint matched the existing body perfectly and it looked even better than before. Total professionals. They Replaced the side of my bed on my truck and repaired a couple dents on my passenger door, well now the bed doesn't line up with the cab of the truck so I took it back an it still doesn't line up also whoever painted the truck missed a patch right in front of the rear tire that I brought up to them an they did nothing about it, the dents they "repaired" you can still see them, they didn't address multiple things that I showed them that were wrong after they worked on the vehicle, now I can't unlock my passenger door with a key, also if you don't call them you won't talk to them, I don't think they called me once I had to call them every time to get an update on my truck. I will never recommend them to anyone. Excellent quality work!!!! I brought my 2006 Acura TL into Bar Harbor Auto Body after I had been dinged in my drivers side quarter panel. I figured since I had my car in the shop anyway I would ask Mike if he could do some extra work. (repair old damage on rear drivers side door, smoke the tail lights & rear side marker lamps, and repair and custom paint the wheels) The repairs and custom work that his guys did turned out fantastic! I was absolutely amazed when I pulled up and saw my car. The damaged spots had been restored to look better than when it rolled off the showroom floor when it was brand new. When I brought my car home, my neighbor told me that he thought I had "bought a new ride". I am very satisfied with the quality and workmanship of the work that Mike did on my car, as well as the ease of the entire process. (which can be a nightmare) He took care of everything from lining up the rental to communicating with my insurance company. I will continue to use this body shop for any future problems I may have, or if I want to get some more custom work done! I HIGHLY recommend this shop to anyone that needs accident damage repaired, old damage repaired, fixes to poor quality repairs, or custom work done on their vehicle. The quality and service are top notch. Mike and his staff make you feel like you are family! All I can say is Thank You! 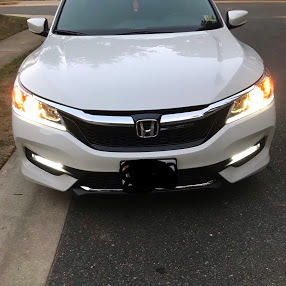 My experience with Bar Harbor body shop was fantastic everything that you promised you were going to do you did and the car looks great and the courtesy of your employees was also terrific it made is a pleasure to work with you. My experience with Bar Harbor body shop was great. I would not hesitate to refer any of my friends family members or neighbors to your shop. Thanks once again and hope your year goes great. I tried this place out after I saw them do a iPad contest on their Facebook page. It was extremely hard to find from the street and I missed the turn originally. I almost just went home but I figured I already made the trip so I would just go. I've never had to get any work done on my car before and didn't have a good attitude about body shops. I was very hesitant and reserved (and aggravated from missing the turn). I think the women at the front desk picked up on it and tried to calm me down by offering me coffee or tea from the Keurig in the corner. After I filled out some forms, I spoke with Jeremy and Mike about the damage on the car. They made me feel really comfortable throughout the process and eventually I forgot about my hesitations and reservations. They explained all of the damage and all the steps they would need to take to fix it, which made me feel better. Especially since this was my first big body shop trip! I decided that I would come back after getting rear-ended. (Just my luck) I'm really glad I did! I was treated so well the first time, and I haven't been treated like that anywhere else. Not even at a nail salon! Mike, Jeremy, and the front desk girls were definitely the reason I came back, and will continue to come back in the future. Best place to get body work done. Mike and his employees take pride in there work. won't take any of my cars anywhere else to get body work done. Would tell anyone to go there. Plus one for suggesting I DON'T get something fixed since it was unnecessary at the time and it would have been very tough for me to afford. Essentially they forfeited money for my wallet. I probably won't be back though, since I found a place with great customer service and they even detailed my car for me before they returned it. If you want to know, message me. I'm not one to promote another business in a review. I own a Honda Civic LX and approximately a year ago my car was keyed. The only thing that did not need repainted was the roof. Originally my insurance company said I had to take my car to a specific shop to have an estimate done. It was not at all convenient for me. When I spoke with the Bar Harbor Manager and relayed this, he said to drop it off with him and the insurance adjuster would come directly to the shop where I could have it repainted. Thankfully that is how it worked out, and all I had to do was drop it off at Bar Harbor. I was completely satisfied with the work performed, as well as, how I was treated. Bar Harbor repainted my car within a week, thus saving out of pocket expenses for my rental car. I was totally pleased with the paint job, but more pleased with the friendliness and genuine desire to ensure I was totally satisfied. I would definitely recommend this body shop to my friends. I wouldn't take my car to any other shop. Mike is incredibly knowledgeable, helpful, fair and efficient and goes beyond recognizing things the insurance adjusters do not, making for an overall wonderful experience to get your car safely and correctly repaired. I received four estimates before taking my car into this shop. Their estimate was on par with the other shops but their customer service, friendly staff and clean facilities made me choose this location. Jamie was very detailed in his estimate and Julie and Mike kept informed with all of the progress and updates that were happening with my vehicle. They were able to get me in quickly and have me vehicle ready in 4 days. Very nice staff and Mike was very helpful with his advice and service. I would definitely come back if I ever had the need. I just recently had my brand new Honda Civic repaired at Bar Harbor Auto Body. I was so pleased by my overall experience that I had to share! The progression of the repairs to my car were clearly communicated to me regularly (pictures) as Mike and his employees completely restored my car back to its original state. Mike frequently took care of contacting my insurance company, making the entire process easier on me. He diligently checked through everything they did, ensuring everything was restored at the best quality possible. If you want thorough work done with excellent customer service, I would highly recommend Bar Harbor Auto Body! Mike and his team were so professional and helpful with my car repairs. I was nervous and unsure what to do, but Mike helped me make the best decision for my car and I. We ended up running the repairs through insurance. Mike was very diligent about following up with the Insurance Rep and he even got me a discount on my deductible! I was very pleased with the repairs done by Bar Harbor Auto Body and the great customer service. I got caught in a 4 car pile up and my brakes blew out. The owner, Mike, gave me a great deal and helped get things taken care of with my insurance. Mike and his crew got my truck taken care of and out of the door in an extremely quick and professional manner. When i got the call to come pick up my truck, I was amazed at how quickly it was done for the amount of work that needed to get done to it. When I showed up to pick up my truck, it looked as good as the day I bought it. I couldn't be happier with my choice to take my truck to Bar Harbor Auto Body. I will continue to take my business there whenever I need work on my truck! Thanks to the Bar Harbor Auto Body team for great repair and some fantastic upgrades.My truck never looked or sounded better.Awesome job everyone ! 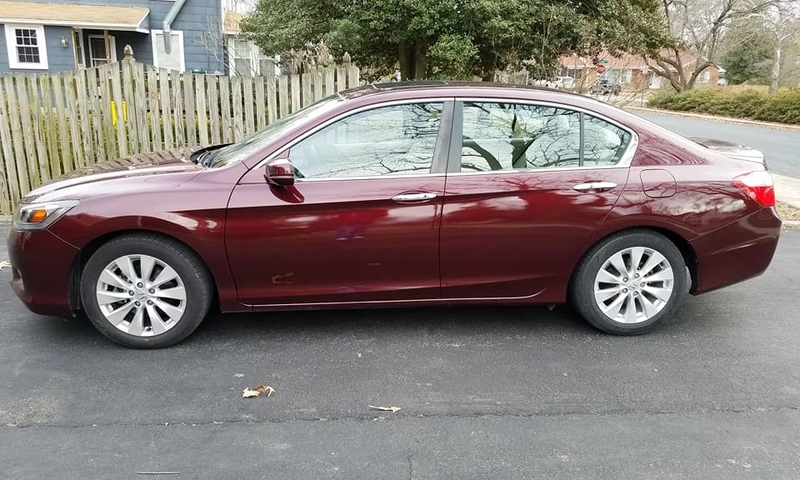 You all did a Phenomenal job making my car look as good as new, and went above and beyond and I would recommend Bar Harbor Auto Body to others as well. Mike Davis, in particular, was very helpful and attentive to me. Thank you for making me feel like you cared for my Chrysler as if it were your own. I would like to thank you for prompt attention, updates, and fulfilling all of the needs of my car. The thorough explanation of the repair process was very much APPRECIATED. Glad to know there is a trustworthy Body Shop with kind personnel working on behalf of your customer! Overall, I enjoyed my experience with Bar Harbor and I'm completely satisfied, and the car looks great. We needed to have the rear quarter panel on our van repaired due to a minor scrape. We learned of Bar Harbor Auto Body from our daughter who had them do considerable work on her van in an excellent manner. Mike Davidson and his team also provided us with excellent service not only by repairing our van, but when they removed our quarter panel, they found that prior service work we had done three years ago (when our vehicle was just 56 days old and was hit while parked) was not done properly. Mike contacted us immediately and informed us that we were driving in an unsafe vehicle (frame damage, etc. ), Mike worked directly with our insurance company and their repair facility that had not properly completed the work to have them cover the repair costs that Mike needed to perform to put her vehicle in a safe operating condition. This took a great amount of Mike's time to negotiate on our behalf. While some other repair facilities may have just repaired our scrape, Bar Harbor went above and beyond to protect us when they saw that the prior work was not done correctly. Based on our experience, we recommend Bar Harbor to anyone who wants complete and careful repair work done on their vehicle. Had body work done on my 2006 Acura TL. Car looks brand new! Mike was able to stretch my dime and repair some existing damage on the car. I wouldn't take my car to any other shop. Bar Harbor Auto treats you just like family. They are honest with what needs to be done, and you can depend on them to get the job done right. I had to go back to Bar Harbor again to have work done and yet again Mike and his team did an amazing job! They are friendly, professional and they understand peoples needs. This is the best repair shop in MD and I will be going back if I need anything else done. Thank you Mike and team at Bar Harbor Auto Body! I had an excellent experience at Bar Harbor. Everyone was extremely nice, informative, and willing to make the repair process as easy as possible. 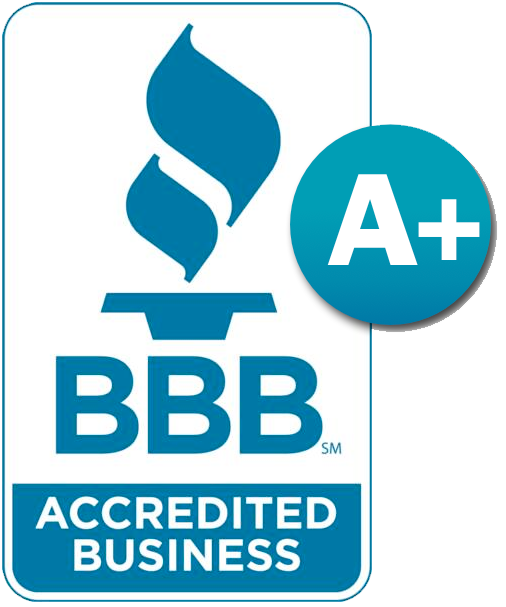 If you want something repaired correctly and quickly, I'd recommend Bar Harbor Auto Body. Been doing business with Mike & Michelle for over 8 years now, grade a staff & from what I see, grade a work! My car was hit by an elderly man who scraped the entire side of my Acura TSX. Mike and the Bar Harbor team in Glen Burnie along with the Enterprise up the street did an amazing job making the repair process totally painless. When I arrived I was greeted by the owner who explained the entire process. He even dropped me off at the Enterprise to pick up my rental car. When I needed my car back sooner than expected, the guys stayed late to get it done. I was very happy with the total experience. We took our car to Bar Harbor after someone ran into the side of it and damaged the rear door and quarterpanel. Mike, the owner, greeted us and handled all the claim details with Geico and even drove us to the Enterprise car rental office right down the street. The only thing better than the repair itself was the personalized service! They sent us email updates complete with photos of the repair each step of the way and finished the repair in minimal time. The technician even noticed that one of my power windows (the one we raise and lower constantly so our dog can put her head out the window) was slow to operate and repaired it as well!!! The car looks like new again and we were thrilled with the service we recieved from Bar Harbor. These guys are awesome. This shop is owned and operated by some great people who do so much for others. It is reflected by the care and attention they give their customers and the quality of work they produce! Bar Harbor had amazing service! I needed my car to be fixed in a short amount of time and they were responsive to my needs. They fixed everything at a very good price and everyone was very friendly. I highly recommend Bar Harbor to anyone in need of auto care! Best service yet. I chose to have my car repaired at Bar Harbor Auto Body in Pasadena, MD. I could even see the status of my repair online! No way to be dishonest here, like some car repair shops. They took pictures during the repair, and sent me an email when they posted an update. I felt very informed about my repair from the start! And, most importantly, my car looks beautiful! They even allowed me to have the 20,000 mile maintenance done while the car was there. That way I didn't have to take my car somewhere else! Make sure you don't let your insurance company tell you where to take your car for repairs. It is your choice! Very good service más perfect job! I Wall be visiting them again! Multiple repeat, happy customer! Not only do they do great work, the owner and staff also acts as an advocate for you to the insurance company. Thank you for all your help! Exceptional customer service. Great turnaround time. Did an exceptional job on my vehicle; would highly recommend to anyone. Thank you for the amazing work as always. Went away on a short vacation and came back to a note on the car with considerate damage. You guys fixed it up perfecrly and took care of all the work woth Gieco even. Excellent servicd as always. Best body shop around. If you want a body shop who truly cares about you and your automobile, then Bar Harbor Auto Body is the best. From the day I walked into their shop, the entire staff ensured the process was seamless. I could not have asked for a better experience and they have gained a lifelong customer. Thank you for the great job, will recommend you to everyone. I was involved in my first accident - rear-ended on a rainy day in the Baltimore tunnel. After speaking to my Progressive insurance rep about the claim, I told her that I preferred to work with Bar Harbor. To say Mike 'handled the rest,' is an understatement. He worked directly with my rep to handle the estimate, the rental car, and everything in between. He only contacted me with updates on the progress of my car and when I could pick it up. Plus since this was my first accident, he talked me through everything that my rep wasn't able to answer. Thankful for the ease of it all and the reassurance throughout the whole process! I brought my 2015 civic si in when I ran into a guard rail. The front left was completely destroyed and I was prepared for a long repairing process. The car was fixed completely in under 2 weeks. I could not be any happier with the service I received from Bar Harbor Auto Body. My vehicle looks better than before and the paint job was done very well. The communication between the shop and my insurance went very smoothly as this can be a time consuming process. I was treated like family here. Overall I had a great experience dealing with this shop and I would recommend them to any of my family or friends. 10/10 !!!!!!!! A huge branch fell through my windshield and crushed my hood and headlight. I called Bar Harbor and they made me feel at ease right away. The owner actually spoke to me and explained everything to where I could understand. His staff handled my tow, contacting my insurance, and rental. When my insurance tried to lowball me with their first try, Mr. Mike fought for me and now my car looks better than new!! I couldn't have been happier with the friendly staff there. I would recommend this shop to everyone, especially the ladies. They made sure I was comfortable and advocated for me! This is the second repair at this shop. They are local, family owned and operated. They detailed my car inside and out for free! Thank you again, you guys! Got a paint job and a dent fixed making my car look brand new! Great customer service and my car was done quickly at a great price. Couldn't be happier. I would definitely recommend going here. I like this place. The owner, Mike, is really friendly and so is the staff. I feel like they know what they're doing and I don't worry about leaving my car with them. I used them when I somehow managed to get a trailer hitch through my windshield on the freeway (long story), and as fate would have it, I just got in another accident (not my fault. Roundabout fail) and decided to use them again. I honestly can't say too much on the prices, unfortunately because I haven't been to a ton of places, but they seems comprable to me and they have coupons on their website too, so that can save you some cash there anyway. Bar Harbor is my favorite auto shop that I've been to. My husband and I have taken our cars to Bar Harbor Auto Body on several occasions for repair work to be done. Our experiences have always been fantastic thanks to the friendly and personalized service provided by their staff, especially the owner, Mike Davidson, as well as the highest standards of work performed to fix our repairs. In addition, Bar Harbor has always taken care of all dealings with other insurance companies, getting estimates, etc. which has made the task of getting our cars repaired so simple. We always recommend Bar Harbor to others we know when they ask for an auto body shop. Mike Davidson ,and the knowledgeable staff ,are great to work with. 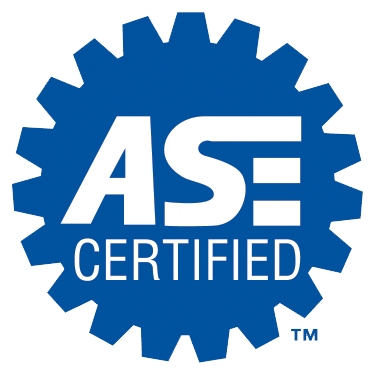 He has the knowledge ,and the shop personnel take great pride in the work that they do ,and the finished product shows the quality of work that is performed. I would highly recommend his shop for all of your automotive repair needs ,whether it be body and paint or mechanical ! My damaged car has not even made it to the shop yet, but I've already had the best customer service! I recently had my car keyed at my job and was very sad. Bar Harbor made is quick and painless to have my car fixed. With a convenient night drop off box, I was able to drop it off on a Sunday night and I had my car back good as new by Wednesday. They repaired the damage and matched my color. When I picked up my car, I was very pleased. I would recomed Bar harbor Auto Body to anyone for all your car repairs.